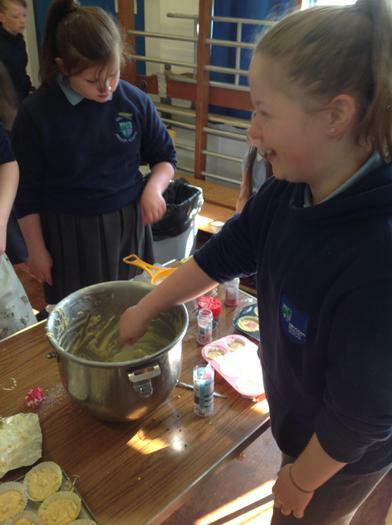 The Great Groggan Bake Off! 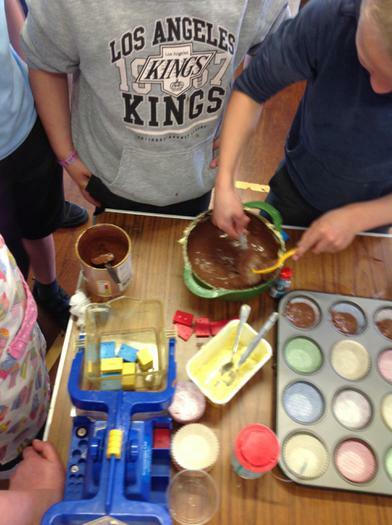 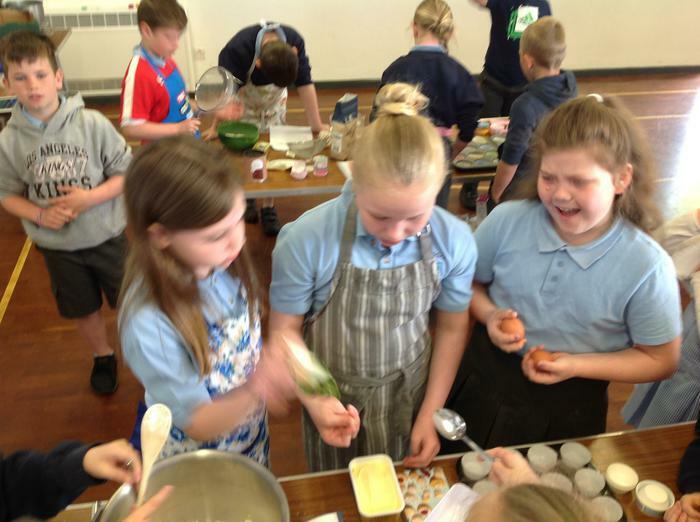 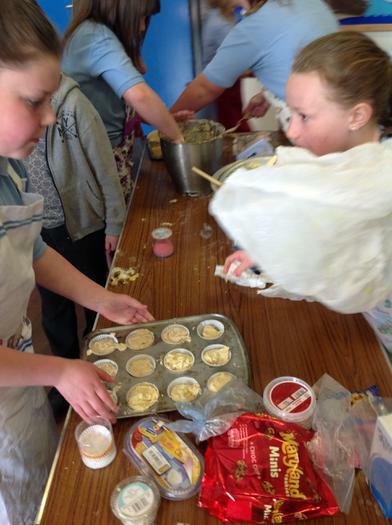 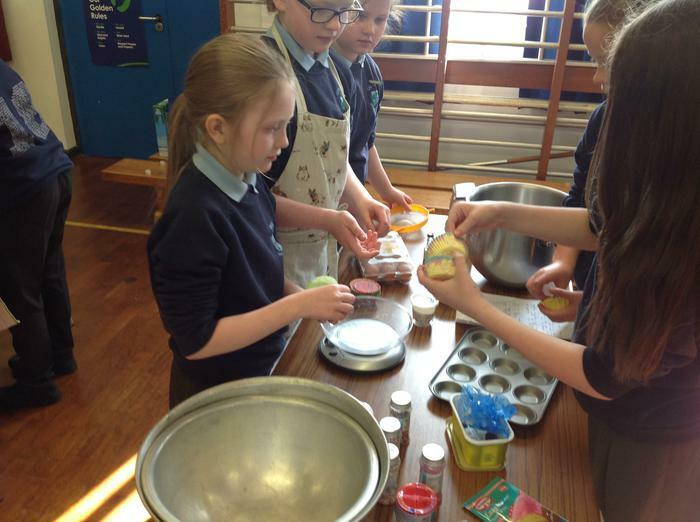 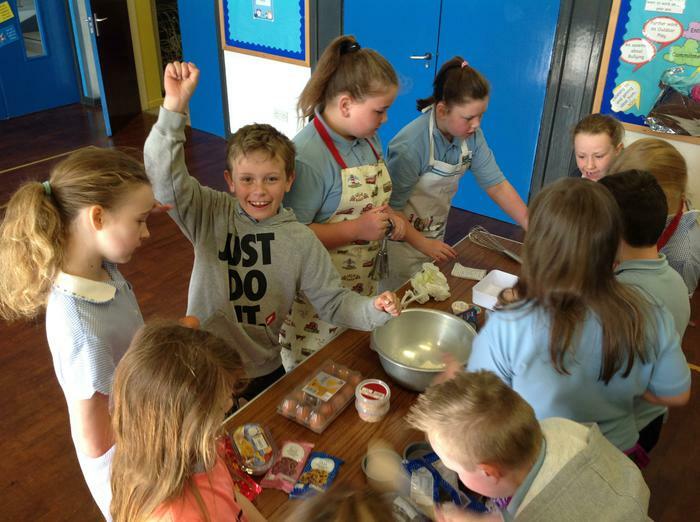 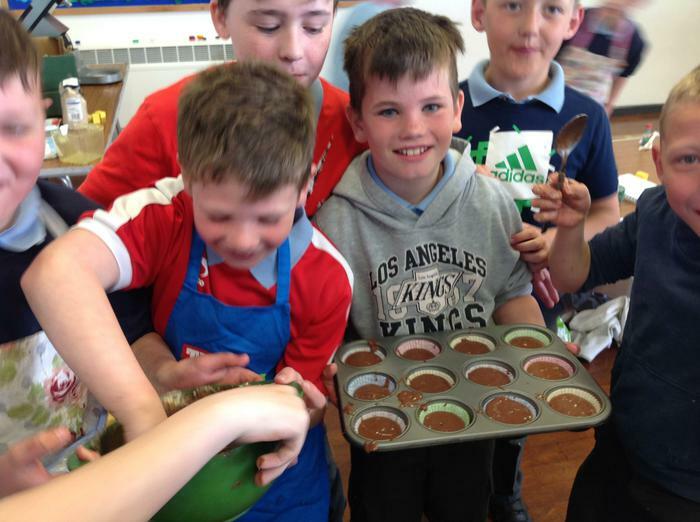 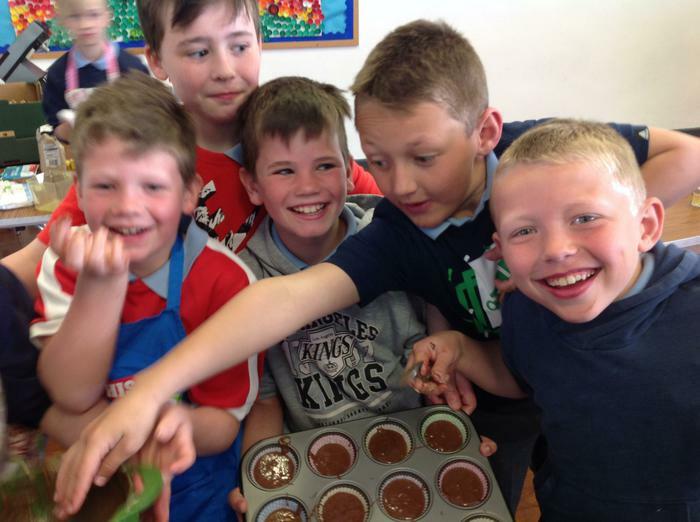 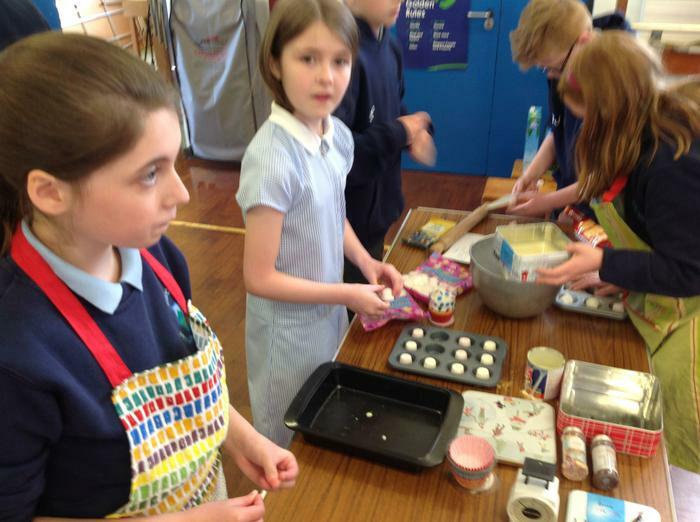 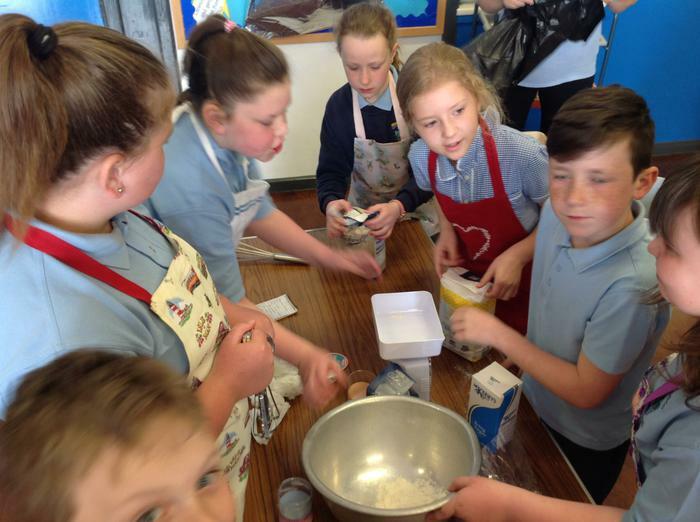 The combined talents of Primary 5,6 &7 finished off our annual Measures week with a bake off competition for charity. 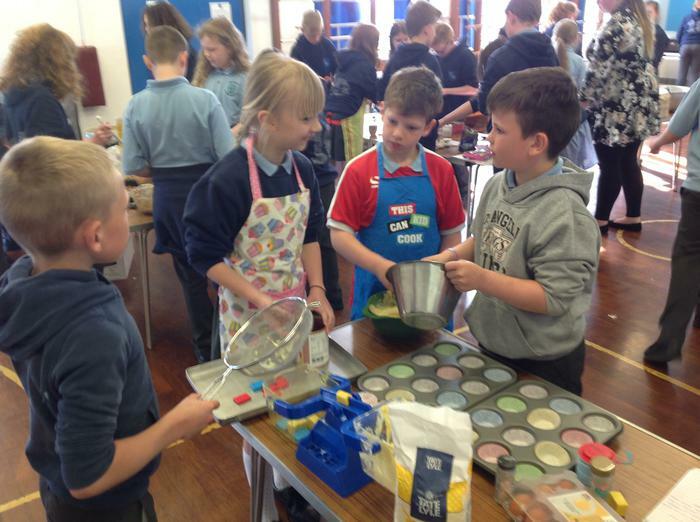 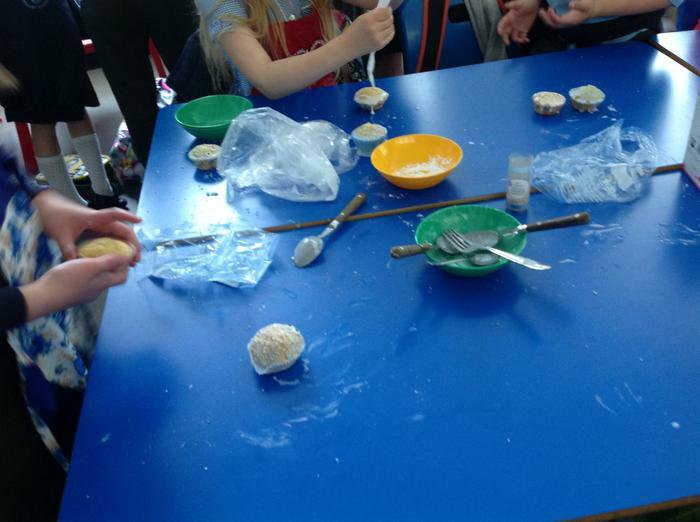 Children brought in secret recipes, utensils and ingredients and created many different baked goodies all for our sale on Friday. 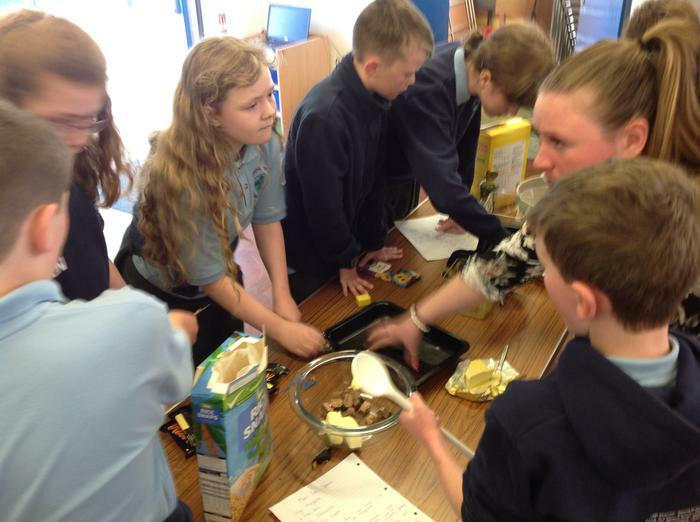 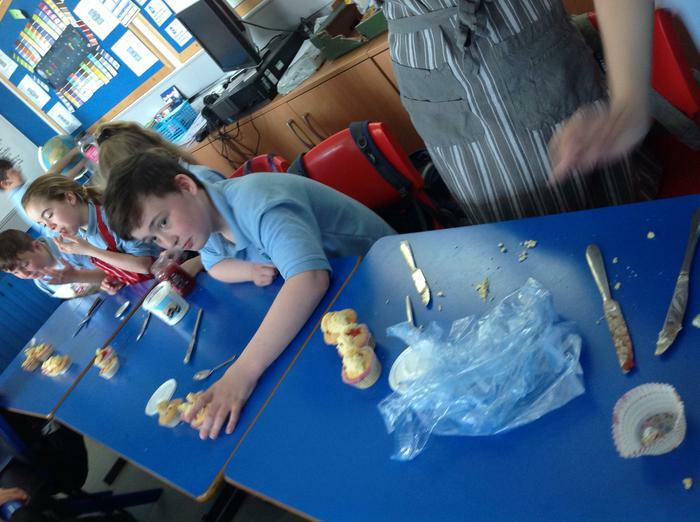 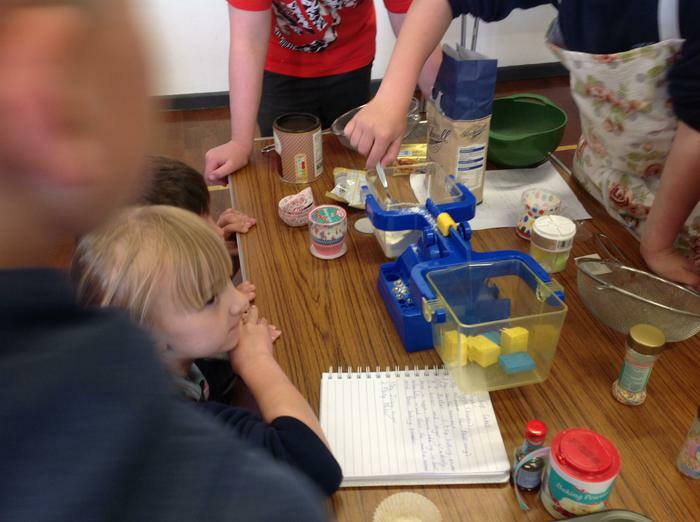 We were very lucky to have the expert guidance (and mixers) of Mrs Bell, ably assisted by Mrs Gibson to helps us. 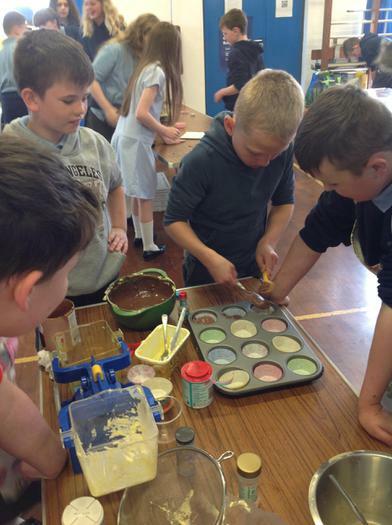 A great morning was had by all, and all for a great cause.